I’m a nutritionist with an edible garden in Ridgewood, Queens. I love to cook for family and friends and sometimes I cook for big crowds, too. Here you’ll find simple recipes from my kitchen and garden inspired by home cooks and gardeners everywhere. Bugs have a natural place in the edible garden. 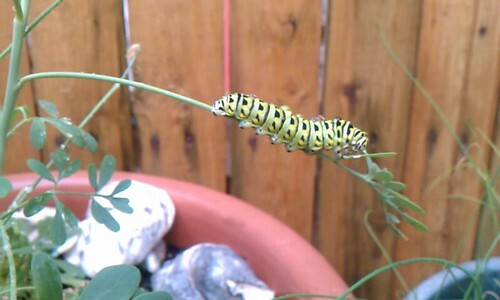 Here's a hungry black swallowtail caterpillar chomping on rue.